Growing up, I loved the 80s cartoon called Rainbow Brite. If you weren't a child in the 80s, you may not appreciate this post as much as others due to the nostalgia of this cartoon! Back in the 80s, Hallmark released a number of 12-inch and 18-inch dolls from this cartoon, followed by a few more releases throughout the years. 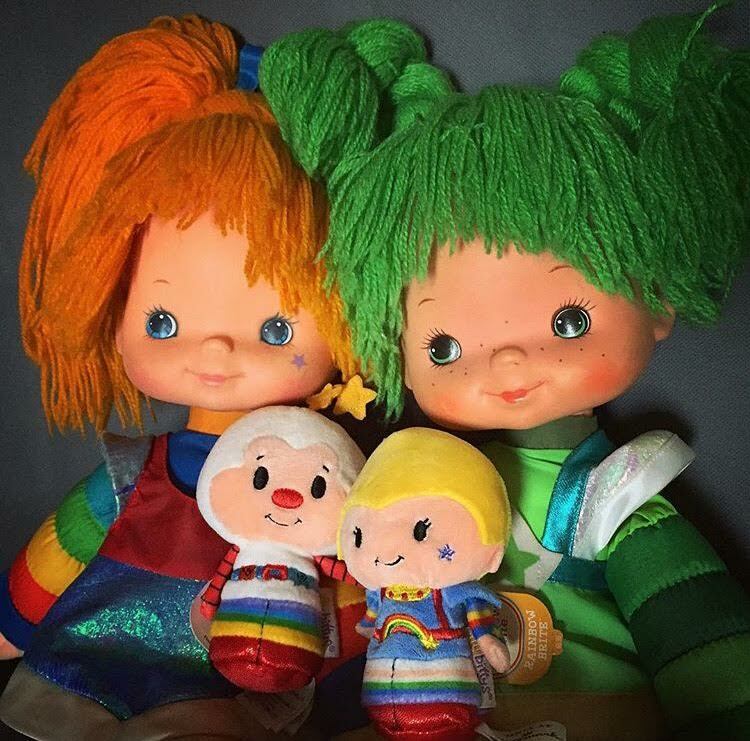 After I grew up, Rainbow Brite, sort of fell off the radar and I wasn't even aware of the relaunched dolls they did in 1996, 2003 and 2009. 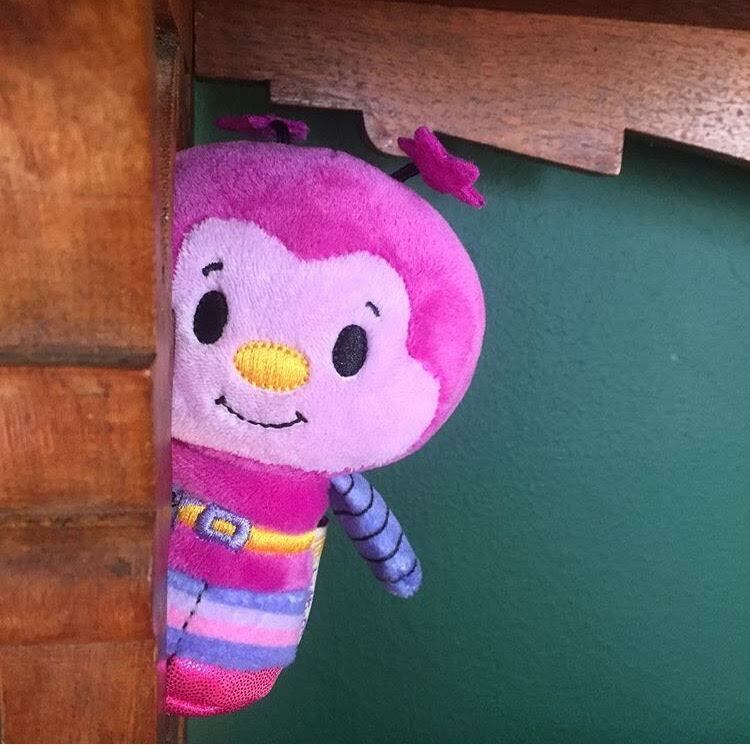 Well, now that I have kids and I am launched back into the toy and doll world, they are back on the radar! You may imagine my surprise, when I walked into Hallmark at the mall to see Rainbow Brite Itty Bittys staring me in the face. I had been aware of Itty Bittys prior when my husband bought a tiny Rapunzel for Pumpkin Pie's birthday, but didn't pay much attention to them at the time. Well, since they now come in the form of my favorite 80s cartoon, I have a new appreciation for them! For a detailed review of each character, please check out my video! They have still to release the Color Kids called Shy Violet, Canary Yellow and Lala Orange as well as Spark Sprite (the yellow one). There are a few other characters that have been on the show, which I hope they release eventually as well (Baby Brite, Moonglow, Stormy, etc). I have heard that Shy Violet will be released in June as an online exclusive via the Hallmark website, though, so I am excited for her! Overall, they are a nice quality little plushie. 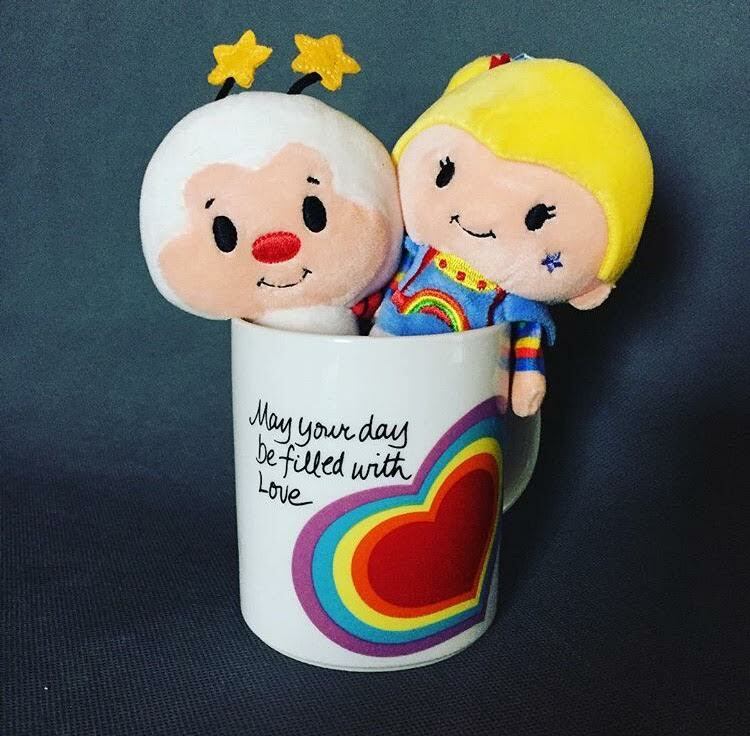 Although possibly a little overpriced at $6.95 a piece, I love them and am happy to have them in my very small (but growing) Rainbow Brite collection. Here is a great website that talks more about the collectible dolls and merchandise they have come out with over the years. 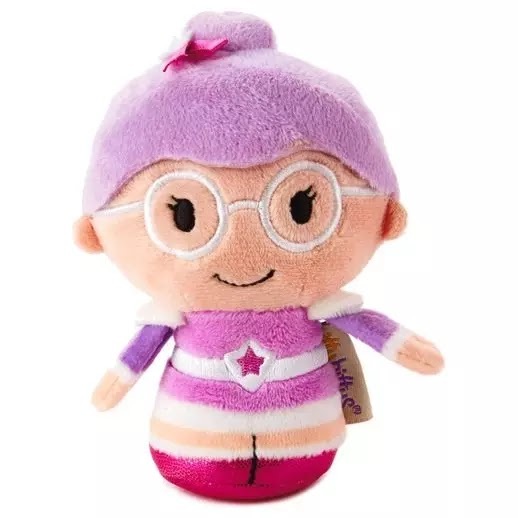 She's the person that told me about the Shy Violet exclusive! She even dedicated an area of her house as the "Rainbow Museum". I hope you enjoyed this 80s rainbow-y, colorful post for today and hope you enjoy the rest of your week! I remember Rainbow Brite, but I think I was a little too old when she came out. I love your colorful group, though. Your Itty Bittys look great as dolls for the larger dolls. I think they are great little "mini dolls". I love the colors and think they will look cute on a white shelf as soon as I am motivated to start organizing my collection! I think we had a bunch of the books as well! We didn't have too many dolls from this line growing up as well, as we were more into Care Bears I think. :) It's always fun to come across some 80s stuff that has been "modernized"! These are very cute Farrah, actually I think my PukiFees would look great in the costumes shown in the illustration. :) Food for thought! Very cute little things, and I like the dolls holding them too. I remember Rainbow Brite being on television too. I do like all the colours, I can imagine they'd really brighten up a collection too with all those lovely colours. Very cute! I love it when things from the past become new again! 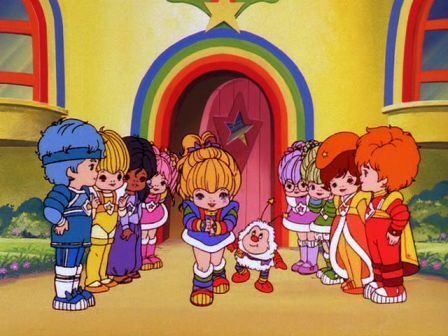 I was a bit too old for Rainbow Brite, but I do remember it. That is so funny about your cousin never letting you play with hers, lol..I had a few cousins and friends like that! Yes, I know....they are soo tempting! It's too bad the series was never released on DVD..hopefully sometime they will produce it! OMG! These are SO cute! Just last year I bought a Strawberry shortcake set from Toys R Us, for purely nostalgic reasons, now apparently I need these guys too!